Hoist hooks are intended to be loaded in-line only. You never want to tip load, back load or side load a hook. Keep the slings in the bowl of the hook. 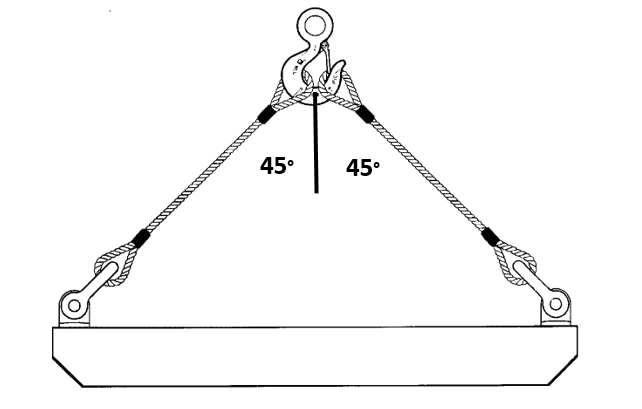 The maximum included angle which is allowed between two sling legs of a hook is 90 degrees. Keep the sling legs within 45 degrees from the center line of the hook. (See graphic A below). Crosby forged hooks have angle indicators to help you approximate your sling angles. 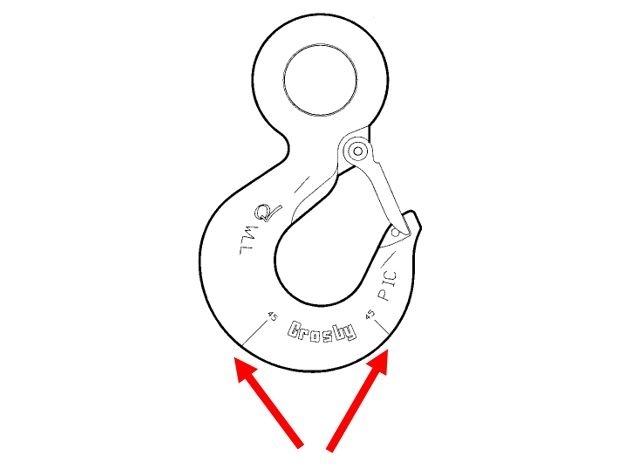 Information Per ASME B30.10-1.11.1(e) : A collector ring, such as a link or shackle, should be used when more than two legs are placed in a hook or for angles greater than 45 degrees with respect to the hook center line. 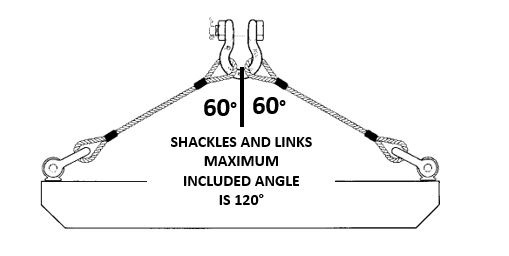 The maximum included angle for Crosby shackles, links and rings is 120 degrees (60 degrees either side). (See graphic C below). These types of collector rings are also a good choice for achieving proper alignment of the slings in certain applications. Shackles used to collect multiple sling legs must be a screw pin or bolt type shackle with bolt, nut and cotter pin like shown above.